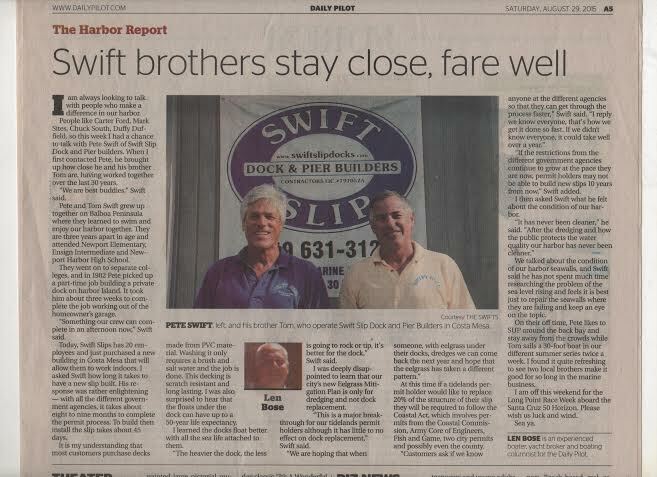 Owners Pete Swift and Tom Swift were featured in a Daily Pilot article this week. Pete and Tom have stuck together through many years and have built a truly remarkable business. Because of their loyalty to each other, their crew members, and the community, Swift Slip is thriving more than ever, 30 years and running. We’d like to thank the Daily Pilot newspaper for featuring us! Why We Are the Best in The Business!